For fracture mechanics, the crack propagation law is often modelled by the linear model usually known as Paris law. This law depends on two constants characteristic of the material. The existence of a correlation between the Paris-Erdogan model parameters was the focal point of several research studies since 1971. These studies suggest that there is a relationship between these two parameters. 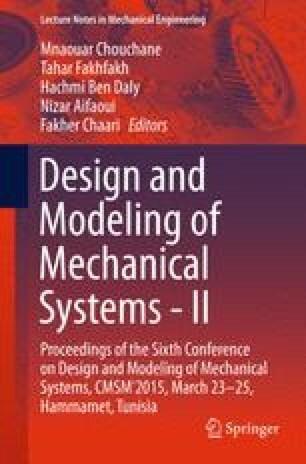 The aim of this work is to present a statistical study based on the confidence level approach by referring to the different test that were conducted on steel and aluminum alloys from the literature. This study has shown that the relationship between C and m is significant for a confidence level of 95%. In this context and according to many experimental studies, this correlation gives the so called, a pivot point (the intersection point of cracking curves). A probabilistic approach is used to prove the existence of this point and to predict the range scattering of the so called, pivot point, for steels and aluminum alloys. Finally, a study based on design of experiments approach was adopted to analyze the effects and the sensitivity of the Paris law parameters on the stress intensity factor amplitude of the pivot point.